I came for Hambaobao, a burger stall in this food centre but the waiting time was 1 hour after placing the order. And, just like a few of other customers, I decided not to wait. 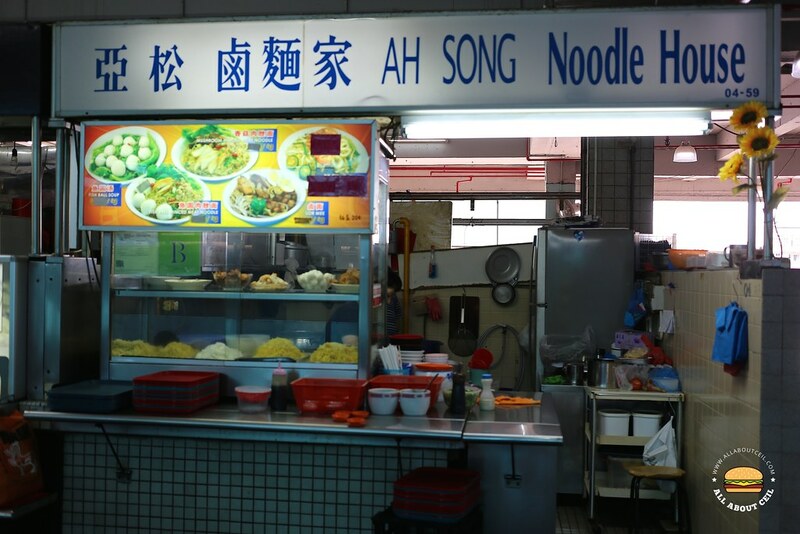 After walking around, I settled for this noodle stall that is at the quiet corner of Beauty World Food Centre. There was no other customer when I visited on a Sunday for lunch. 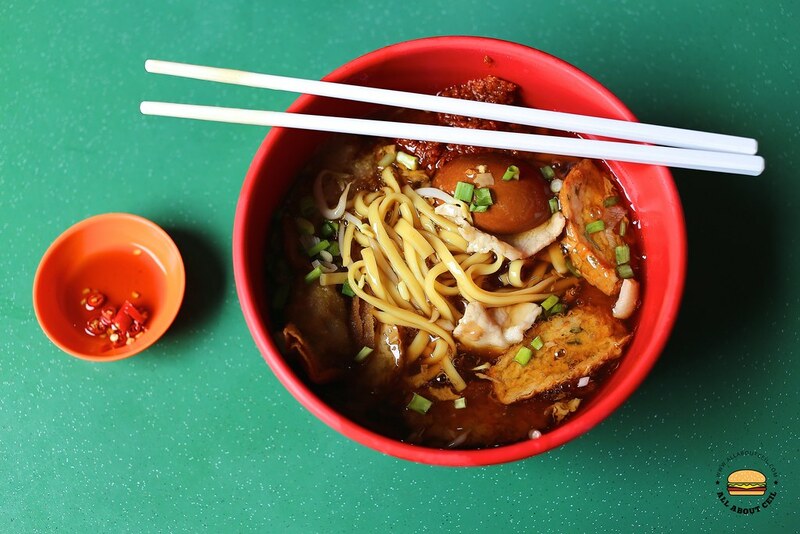 Their menu is simple, there are Fish Ball Soup ($3), Mushroom Minced Meat Noodle ($3), Fish Ball Minced Meat Noodle ($3) and Lor Mee (3) which I ordered. 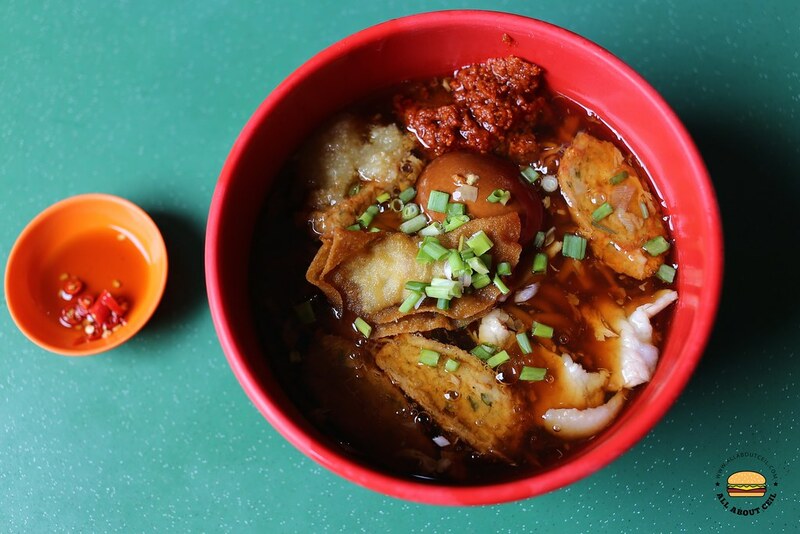 The portion was substantial and served with braised egg, fried dumpling, slices of ngor hiang and lean meat. I was asked to help myself to the sambal chilli, garlic paste and vinegar. The sauce was a bit too light and not gooey enough to coat the noodles well. It tasted slightly better after mixing in the garlic paste and sambal chilli. They served it with the poached meat rather than the usual braised meat which did not have much taste, it might be a healthier choice or simply serve it out of convenience. I did not like it.